Are you getting married in 2017? If so, this could be your chance to save yourself a bit of dosh and win a wedding photography package worth £1000!! Lorna Lovecraft's Tardis package which is normally priced at £1000. An online photo gallery for you to share your images with friends/family and where you can purchase prints and albums. Every image lovingly retouched and a USB memory stick of high resolution photographs, allowing you to print and share as you wish. Up to 8 hours of wedding day coverage, which normally includes bride/groom preparations, wedding breakfast, the ceremony, speeches, portraits, lots of scrummy details and some of the evening party/reception. £250 of gallery credit to spend on prints/albums etc. Lorna's travel expenses are included in the prize within the mainland UK, though modest overnight accommodation may be required depending on location. Overseas entries are welcome, providing flights/travel and accommodation costs are covered by the winning couple. "My alternative wedding photography is a match made in heaven for the creatively courageous, effortlessly elegant, cupcake nibbling, welly-wearing, bold and brilliant bride with a fun-loving edge… and her soon-to-be dapper gentleman of a spouse. You both want your wedding day to be a supremely unique experience with an abundance of thoughtful details. You probably spend far too much time on Pinterest (it's ok, I do too). 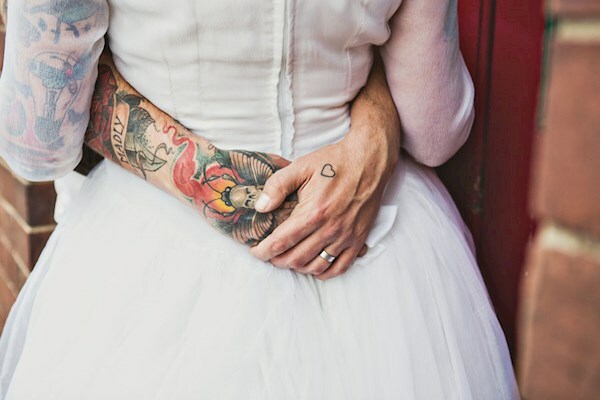 Your wedding is going to be unapologetically unforgettable, because yours isn't just a wedding; it's a piece of art." Find out more about Lorna and her work by reading our recent feature. Winners decided at the discretion of Lorna Lovecraft and Misfit Wedding and the decision is final. Lorna's standard wedding photography contract applies. 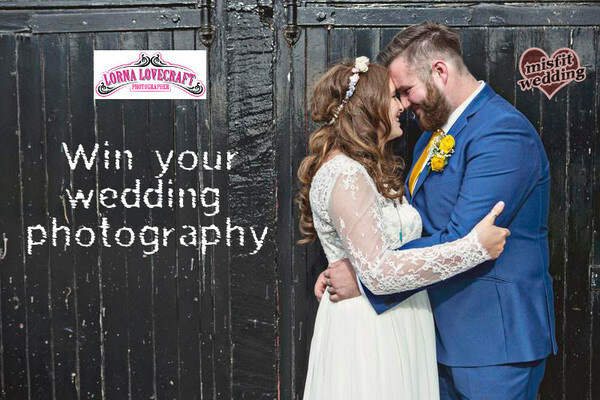 The couple must be happy to be featured on various wedding-related websites and blogs including but not limited to Misfit Wedding and Lorna Lovecraft's website. The images of the winners may be used in the press and/or for promotional materials. Wedding must be between May 16th 2017 and December 31st 2017, and on a date when Lorna is not already booked. Closing date is midnight 14th May 2017. Winners will be notified via email shortly after the closing date. Lorna is based in Yorkshire but loves adventures and will travel anywhere. Modest accommodation may be required to be provided by the winners if the location is more than 60 miles from HU1. If the winner's wedding venue is located outside the UK, travel and accommodation costs will need to be covered by the winning entrant. Current clients of Lorna Lovecraft are not eligible to enter.